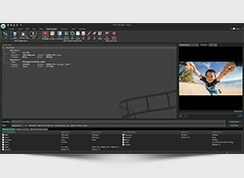 Flash-Integro releases VSDC Free Video Editor 3.1, featuring even more flexible and more convenient editing of video files. In particular, managing of objects is easier now as they are available directly on the timeline, while the behavior of objects can be very complex thanks to the new visual editor that greatly speeds up the adjustment of object parameters. 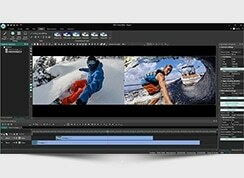 Meet the new VSDC Free Video Editor, a true non-linear video editing tool delivering quick and effortless manipulation of video files in many supported formats. Non-linear editing means objects on a video can move along complex arbitrary paths, interact, change their shape and parameters, transform to other objects. The potential of non-linear editing is amazing! The new version of VSDC Free Video Editor is a serious milestone toward increased convenience and unbeaten flexibility that is provided to the editor and it is free and generally intended for home use. Each non-linear parameter, regardless of whether a position, special effect, or value of brightness, can be modified directly on the timeline bar. This means that a user does not have to open multiple dialogs, windows, or toolbars – all the functionality that he or she needs is now within clicking distance. In addition, editing of numeric parameters, such as contrast values, rotation angles, coordinates, etc. 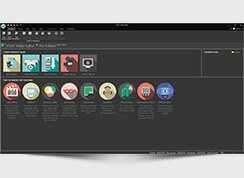 has become easier in the new update thanks to the built-in visual editor. Previously, users were able to program quite complex behavior of the video objects thanks to in-app math functions. 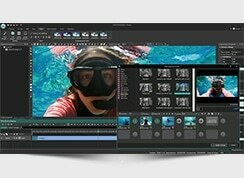 In the new version, VSDC Free Video Editor offers even more flexibility. Now, each parameter curve optionally consists of several paths, where each such segment itself is either linear or curved. This opens a lot of new video editing possibilities unavailable before: more accurate transitions, more intricate positioning, interesting effects combinations, etc. 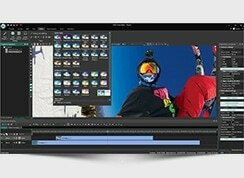 Overall, editing of audio and video files has become simpler and faster. For example, deleting or restoring of fragments on the timeline does not require using the Wizard now; the timeline bar became more functional, yet still very straightforward even to newbie users. 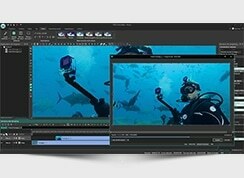 The update also features several critical bug fixes and introduces an important correction to the license agreement – VSDC Free Video Editor is now free even for commercial use.